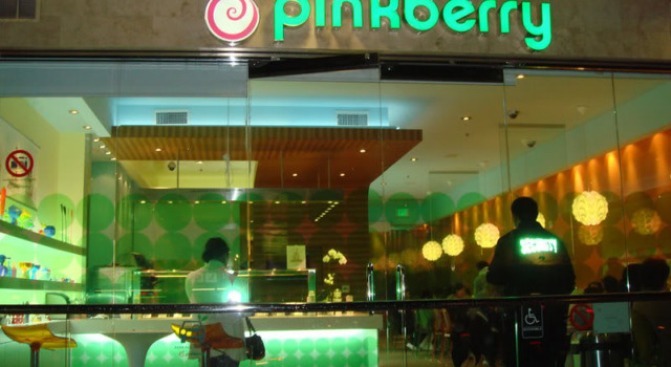 Pinkberry plans to increase its reach in the Bay Area. Bay Area: With several million dollars worth of new funding in hand, Pinkberry is turning its focus to the Bay Area. And how. The froyo giant already has one foothold in the area, and now Pinkberry has announced that it will develop a minimum of 30 stores in the Bay Area and Sacramento markets. NB: Of course, there's no timeframe on said explosion. But there's so much more froyo madness. In addition to partnering with HMSHost—a retail operator in most US airports (read: airport froyo coming soon)—Pinkberry is also taking the show international ... in the most unlikely of places. From the release: "Pinkberry has partnered with the M.H. Alshaya Co. to open 35 stores in nine countries throughout the Middle East." Alshaya also operates international megabrands like Starbucks and H&M, so it looks like froyo and pig flu are probably going to take over the world together. Read the whole release here.